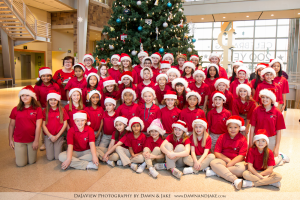 The Spotlight Singers completed their holiday tour with a trip on December 16th to the Indiana State Museum and the Circle Centre Mall Artsgarden. They enjoyed lunch at the mall and had a great time performing for friends and family. It has been a great season spreading music to our faithful Douglas MacArthur community.